ZIFA presidential aspirant Felton Kamambo has cast further doubts on the credibility of next month's Zifa board elections after making sensational claims that the electoral committee was compromised as some of its members, including chairperson Vusilizwe Vuma were related to incumbent Philip Chiyangwa and his deputy Omega Sibanda in blatant violation of football statutes. The former Zifa board member, made the damning allegations in a 32-page dossier sent to the Fifa ethics committee last week. It was also copied to Fifa secretary-general Fatma Samoura, Caf president Ahmad Ahmad, the Sports, Arts and Recreation ministry and the Sports and Recreation Commission (SRC). 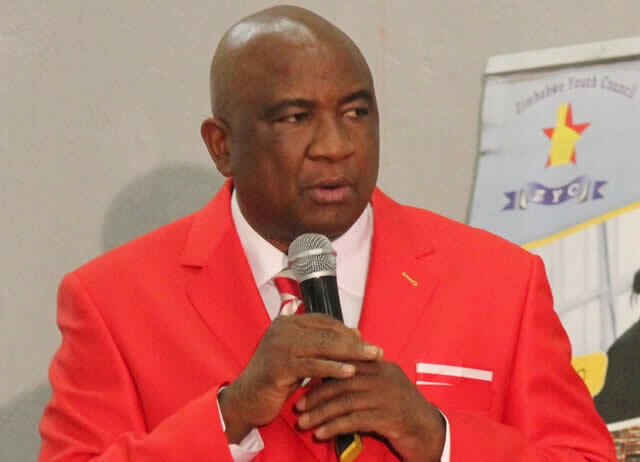 Kamambo, who is seeking to challenge Chiyangwa for the Zifa presidency, was controversially barred from contesting in the upcoming elections and has approached Fifa for intervention, saying the elections will be a farce. Ironically, the Zifa electoral committee, which disqualified Kamambo, has remained silent following his appeal. It has also emerged that there is no functioning appeals' committee set up to handle grievances by aspiring candidates in gross violation of football statutes. "My view and the rest of other (Zifa) assembly members is that the Zifa electoral committee is captured. They implement what they are asked to implement by the three members for reasons best known to them," the former Central Region boss said. "It is not a secret that two of the lawyers making up the electoral committee are (Zifa) vice-president Omega Sibanda's lawyers who have previously represented him in some cases. The two are Shepherd Chamunorwa and Liberty Mcijo." "The chairperson of the electoral committee Vusilizwe Vuma is related to Omega Sibanda. The other two lawyers, Mr T Tanyanyiwa and Mrs Samburero are also related to current Zifa president Philip Chiyangwa. Tanyanyiwa at one time represented Chiyangwa in another case." Kamambo said the said officials in the electoral committee should have recused themselves as this was in violation of Zifa's electoral code. "For transparency case and good governance, the four should have recused themselves. Furthermore, the electoral code does not allow appointment of relatives and friends if you have your relative and friend contesting in terms of article 3 which states that it must be based on neutrality and non-discrimination, hence, the actions of the electoral committee will be based on malice and bias." "There are allegations that the sitting allowances for electoral committee members were doubled on the eve of the nomination court sitting, after Chiyangwa had lunch with two members of the electoral committee," he said. Contacted for comment, Vuma refused to comment, saying it was unprofessional for him to do so as due process was being followed. "I can't comment when due process is being followed. It will be unprofessional for me to do so," he said. Kamambo said due to the startling revelations and attempts to disqualify him and other officials, it was important for Fifa to urgently solve the mess characterising the upcoming elections. Former Zifa Southern Region chairman Gift Banda, who wants to challenge Omega Sibanda for the post of Zifa vice-president was also barred from contesting and recently appealed for Fifa's intervention. "I am writing to make a formal complaint against the Zifa board and its secretariat. The crux of my complaint is mainly centred on the manner in which the election process and the election system is being conducted," Kamambo wrote in the dossier seen by NewsDaySport. "I would like to bring to your attention that the board has been involved in a litany of constitutional and electoral irregularities, all of which have an effect of undermining the just conduct of elections. These legal trespasses are of such magnitude that they resulted in non-compliance with the constitution and existing electoral laws governing Zifa elections." He added: "The system is being manipulated by those who are currently in position of authority so as to determine the outcome of the elections. As a result, the entire election process is so fundamentally flawed and was fraudulently conducted that it cannot be said to have been conducted in substantial compliance with the constitution as shall be explained below in seriatim and consequently seek the intervention of Fifa to bring normalcy to the decaying situation." Kamambo, who resigned from the Zifa board in March, citing expiry of his term of office according to the constitution also touched on various issues such as the illegality of the current Zifa board and manipulation of the electoral process from the area zones, the provinces and other affiliates.